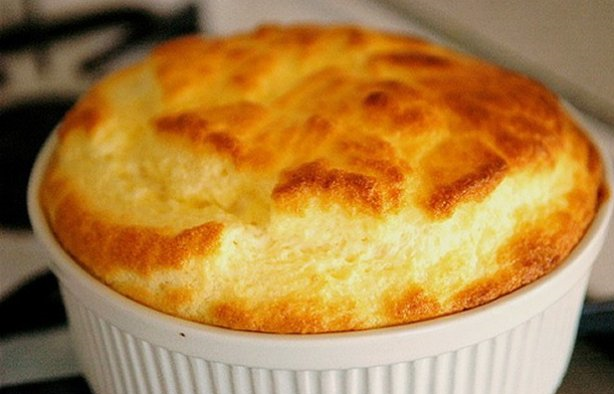 This fluffy soufflé perfectly complements the savory flavors of the salted cod, and its soft consistency counterbalances well with the unique texture of the bacalhau. 1) Leave the cod to soak, placing it in a bowl with water for 48 hours, changing the water about four to five times. 2) Leave it in the refrigerator. Once ready to make the dish, take the codfish from the water and dry it. Set it aside after shredding into pieces. 3) In a pan place the olive oil, onion and the garlic, both finely chopped, and let them fry lightly. Add the shredded codfish and let it cook on low heat. 4) Meanwhile, boil the milk in a saucepan and on other pan on low heat melt the butter and sprinkle it with the flour. Let the ingredients cook for about a minute. Add the milk to the butter, slowly, and stir for about five minutes, until you get a thick sauce. 5) Add the codfish lightly fried. Take the pan off the fire and add the egg yolks, one by one, and keep mixing. Add the salt and pepper to taste. Mix every ingredient and set aside. 6) Sprinkle the egg whites with a pinch of salt and whip them into stiff peaks. Mix one fourth of the egg whites with the codfish, then, add the mixture to the remaining egg whites. Mix all the ingredients gently. 7) Place the mixture in a soufflé pan and place it into a preheated oven at 365 degrees fahrenheit for about 30 minutes, until the soufflé is golden. 8) Once done, remove it from the oven and serve the bacalhau soufflé immediately.